A benefit of your $20+/month Calendar Club membership or $240 annual giving. What better way to celebrate a special moment than through NPR Illinois? You choose the message and you choose the date! You receive eight (8) on-air announcements, plus the announcement posted here on nprillinois.org. Sponsoring individual's name must be in on-air message. Do celebrate a person, place or holiday. Do not ask others to take an action based on your message. What are the NPR Illinois guidelines? Please keep message length to :10 or less. Please send requested message to us at least ten days before air date. NPR Illinois may edit your message for length or regulatory compliance. 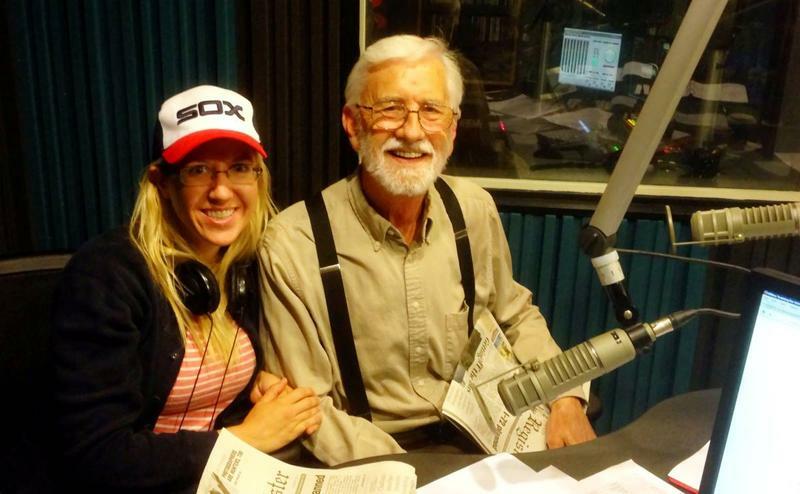 Today's NPR Illinois Day Sponsor is Calendar Club member Ima Newsjunky, wishing her husband Larry a great first day at the new job! Michael and Allyn Armour celebrating their wedding anniversary. Support comes from day sponsors Michael and Allyn Armour celebrating their wedding anniversary, an anniversary day shared with their daughter and son-in-law, Dana and Jake. Support for WUIS comes from Laurie McCoy, director of Hoagland Center for the Arts production of "Inherit the Wind," who wants to thank her cast and crew for their time and work. "Inherit the Wind" runs October 4th through the 6th and the 11th through the 13th. The 2013 WUIS fall drive ran on-air for only five days; October 3-7 thanks to the ongoing support of the Calendar Club members. Today is sponsored by the loving family of Sherry Miner of Rochester, Illinois, congratulating Sherry on her retirement. Today is sponsored by WUIS member Mary Beaumont, noting the American Association of University Women’s used book sale. Today from 3:00-7:00 p.m. and tomorrow 8:30 a.m. - 1:00 p.m., at Westminster Presbyterian Church in Springfield. Today is sponsored by the Lincoln Tomb, the Lincoln Home, Iles House, Edwards Place and the Illinois State Military Museum-- the sites on the candlelight tour, “The Fiery Trial: Civil War Stories by Candlelight,” The theme is the Emancipation Proclamation. Tomorrow from 5 to 9. Regan Smith; a memorial in loving tribute to his wife Lillian Sanders Smith, on her birthday. Today is sponsored by Calendar Club member Regan Smith; a memorial in loving tribute to his wife Lillian Sanders Smith, on her birthday. Today is sponsored by Calendar Club member Terri Cameron, noting Basket of Hope’s Come to the Cabaret tonight, 7:00 p.m. at the Hoogland Center for the Arts, with music from a variety of Broadway shows.